As Samsung Electronics’ Galaxy Note 7 is involved in an unexpected recall stir, industries are paying more attention towards Galaxy S8 (tentative name) that is expected to be released in first quarter of next year. If Samsung Electronics wants to overcome its slump it is having with Galaxy Note 7, its next model has to put up a maximum fight. While industries are interested which card Samsung Electronics is planning to draw, it is confirmed that huge changes are taking place for hardware (HW) of Galaxy S8. Unlike previous models that focus on using previous components, it is heard that Samsung Electronics is aiming for functions and design that were not seen before by actively looking for new components. It is expected that biggest noticeable change will be upgraded HW after gathering predictions from Samsung Electronics’ partners and electronic component industries on Galaxy S8. Out of all hardware, it is predicted that display is the component that consumers will experience most changes. It is heard that Samsung Electronics is planning to remove a home button from Galaxy S8. It is trying to remove a physical button that sticks out from the front of a Smartphone and implement home button function from behind of tempered glass or inside of a display. Not only is home button used to return to a main screen but it is also used to recognize fingerprints. It is not confirmed on which technology Samsung is planning to use to replace home button function. However elimination of home button indicates that Samsung Electronics is planning to fill all of front screen of Galaxy S8 with just screen. Samsung Electronics commercialized bezelless Smartphones that do not have edges on the left and the right through Galaxy Note 7 by increasing curvature of both edges of OLED display. It is heard that Samsung Electronics is planning to eliminate even top and bottom edges of display for Galaxy S8. Samsung Electronics is planning to implement so-called ‘full screen’ which has all of front of a Smartphone is a screen and is hinting a new Smartphone that was never seen before. It seems that consumers will experience most changes from design. Because only screen is shown in the front of Galaxy S8, it is going to look for concise and elegant. Also because level of concentration is increased, pictures or videos are going to look clearer and have 3D effect. Apple’s possible actions regarding this are also drawing attention because there is a news that Apple is also preparing for full-screen Smartphone. In September, New York Times quoted Apple’s representative who said that full screen will be used for iPhone that will be introduced next year and that home button will be eliminated. 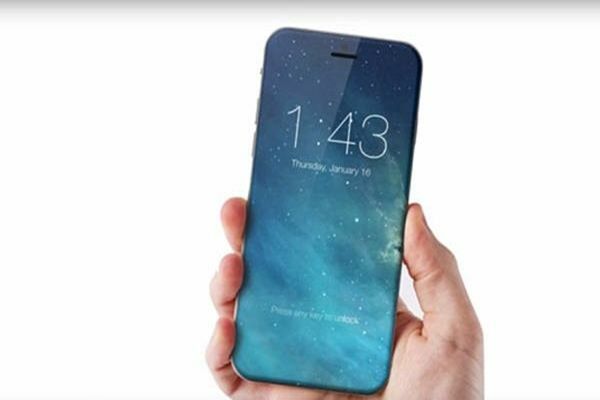 Although whether or not this is true cannot be confirmed yet, Apple is going to release OLED iPhone in next year. This OLED display is manufactured by Samsung Display. Samsung Display is Samsung Electronics’ subsidiary that focuses on manufacturing displays and it will play an important role regarding full-screen display. It is likely that Galaxy S8 will be the first Samsung Smartphone to have rear dual-cameras. Dual-cameras are Smartphone component that have two cameras. While all-in-one dual-cameras have two lenses and a module, separated dual-cameras have two separate modules. While all-in-one dual-cameras have low unit cost but difficult manufacturing process, separated dual-cameras have experience price but low worries regarding yields. It is heard that Samsung Electronics has decided to use dual-cameras to improve quality of pictures even more. Dual-cameras are useful in expressing depth of pictures and also have out-focusing effect that has subjects of pictures clear but blurs background. It is heard that pixels of dual-cameras will support 16 megapixels and 8 megapixels. Samsung Electronics is also planning to use an upgrade AP (Application Processor) that corresponds to a brain of a Smartphone for Galaxy S8. According to Samsung Electronics’ DS (Device Solution) System LSI Business Department’s Foundry Business Team, it is going to start mas-producing 10-nano Snapdragon 830s, which will be used for Galaxy S8, at the end of this year at the earliest. Galaxy S8 will be equipped with half of Snapdragon 830s and half of Exynos that is manufactured by Samsung Electronics’ System LSI Business Department. This indicates that 10-nano Snapdragon 830s will soon be produced at an identical condition. Semiconductors’ performance increases as processes become finer and this can also reduce heating and electricity consumption. This means that Smartphones that are already fast can be used for even longer. As issues of recall of Galaxy Note 7 are becoming bigger, some believe that Galaxy S8 will be released earlier than usual since it will be better to develop next models faster and to sell them rather than to improve sales of Galaxy Note 7 to minimize hits that it had received. However if Samsung Electronics were to push forward release date, there are chances that quality issues like this recall problem can recur again. Also fact that there are huge changes to HW of Galaxy S8 makes it very difficult to shorten schedule. Due to this reason, there is a high chance that Galaxy S8 will be introduced and released in February and March respectively just like its previous models. “Due to issues of Galaxy Note 7, it can be seen that Samsung Electronics is paying extra careful attention towards development of Galaxy S8.” said a representative for this industry.